Anurag Tomar & Associates is one of the leading Corporate Law Firms in Delhi and has an impeccable track record in dealing with matters related to Corporate Law. Many reputed businesses are our clients. We take great pride in offering our reliable and unswerving Business Law Services and assistance in the field of Corporate Law Practice. We have a team of qualified and experienced lawyers and Industry experts who are well versed in the various aspects of Corporate Law Firms In Delhi. We are greatly appreciated for the timely solutions and the dedications that we have towards our clients. Our company has the best interest of the clients in mind. 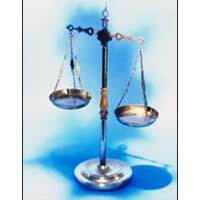 Details Corporate law covers the business world. It involves the interaction between the various players in the Business world like Directors, Shareholders, creditors and Employees.